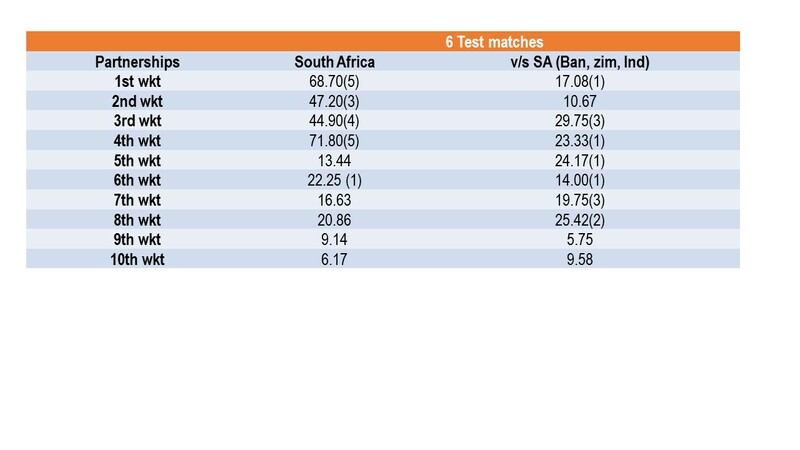 ← (510)…Recent test matches in South Africa is producing low scores. South Africa have been relying heavily on their new opening pair of Markram and Elgar. Along with them Amla is amongst runs. 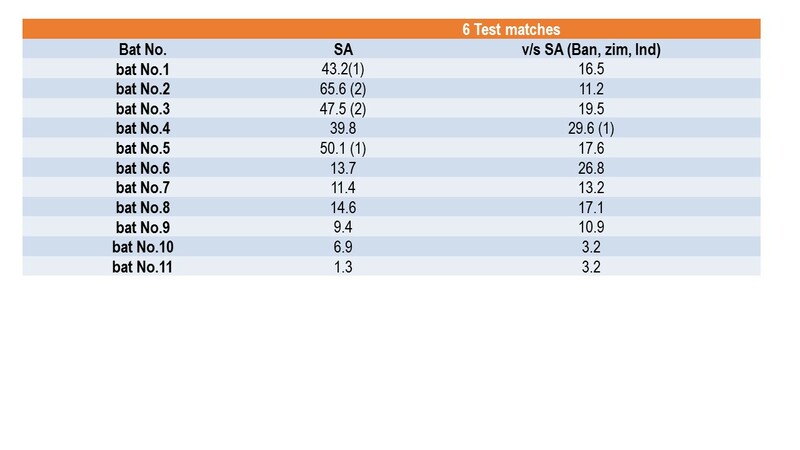 They are the only batters to post centuries(2 each) in these 6 tests. Interestingly both experienced Fa Du Plessis and De Villiers are not in great form in this period. 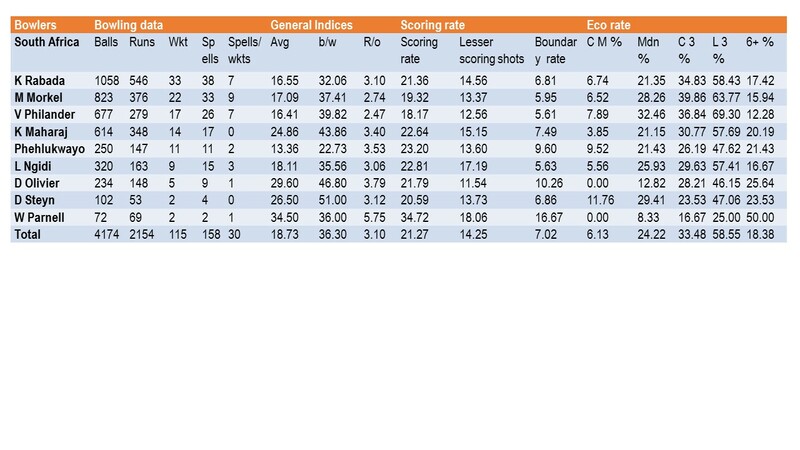 Despite injury to their premier fast bowler (Dale Steyn) SA bowling has looked balanced. His absence has not effected the line-up and performance. It still is threatening and are still able to dismiss teams for low scores (320 being the highest score in last 6 tests). Currently Rabada is their leading wicket taker, and Philander is their striker bowler. They are ably supported by experienced Morkel and improved reliable spinner Maharaj. There also great talent in Ngidi and Phehlukwayo as support back-up bowlers. 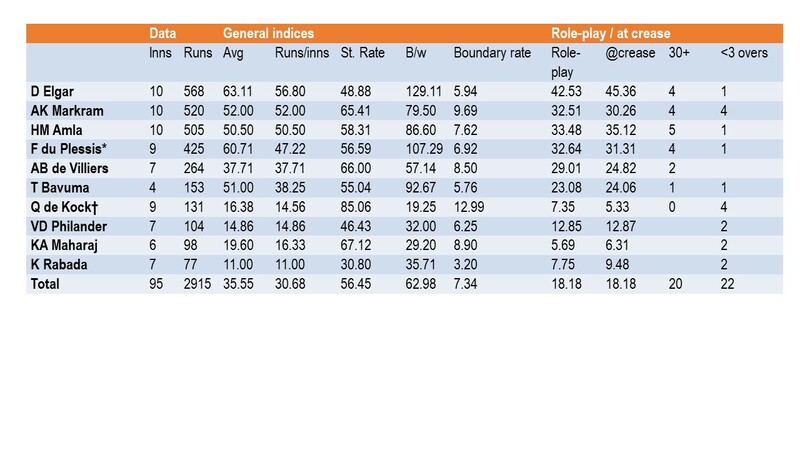 Here is link to Australia latest test performance.